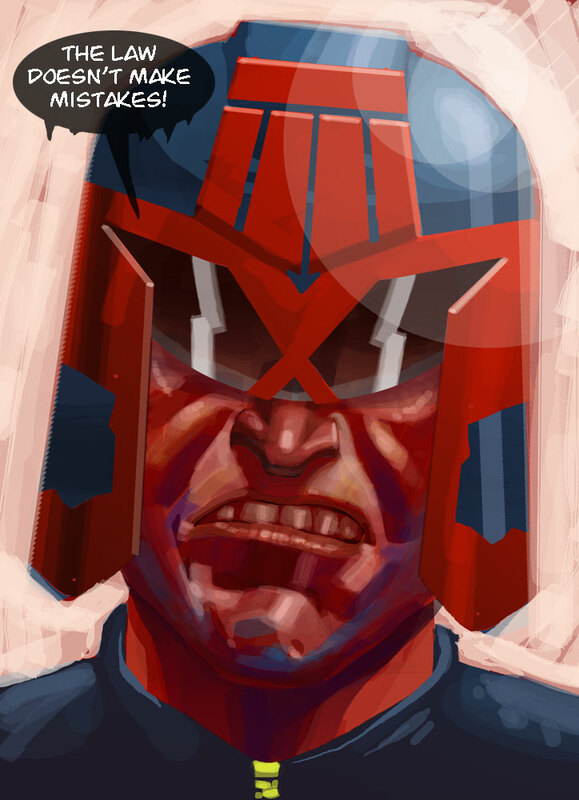 Legendary British publisher 2000AD announced today that I'll be drawing a 6 page Judge Dredd story for their Free Comic Book Day outing. As a kid the good Judge's book was one of the first comics I owned, so this gig is a special thrill for me. One of the few "bucket list" characters I'd like to draw. However, I'm taking the gig under some sad conditions. The job originally belonged to respected Batman artist Norm Breyfogle. Unfortunately Norm suffered a stroke which has affected his ability to draw. Strokes are always tragic, but especially so for an artist who depends on his work. I'll be donating a portion of my earnings from this gig to a charity fund that hopes to raise enough money to cover some of his medical expenses. I tell you this so that you will consider donating to the fund too. Despite the international reach of comics, we are a tight knit group. I'm sure many of you remember Norm's work fondly, or know someone who does. So please give what you can to a guy that could really use the help. Really looking forward to your take on Dredd, Mike! Even after the sad circumstances. You make it look so fun!